Mold continues to be in the news, somewhere in the nation, on a daily basis. Mold spores are, literally, everywhere and usually cause no concern. However, when the conditions are right, mold can begin to grow, and if that occurs inside of a home or other structure, it is always a concern and can be a real problem. Food – Anything that used to be alive (wood, cardboard, paper, wool, silk, leather, etc.). Temperature – These molds thrive in the range of 68°F to 86°F (the same range we typically keep our homes). Water – Very little is needed. In fact, the Environmental Protection Agency (EPA) indicates that indoor humidity above 60% is sufficient to allow mold to develop. Since our homes normally contain a lot of potential moldy foods and are normally kept at a temperature conducive to mold growth, all that is missing is water. In all cases, water damage must be remediated quickly and thoroughly or it will result in mold growth. Complete drying, back to normal conditions, is very important since any excess moisture will result in mold growth. Mold is often seen as obvious growth or even discoloration on materials like paper or wood. Colors can range from white to orange and from green to brown and black, and it gives off the well-known musty/moldy smell. According to the Center for Disease Control (CDC), The Institute of Medicine (IOM) found there was sufficient evidence to link indoor exposure to mold with upper respiratory tract symptoms, coughing, and wheezing in otherwise healthy people. The IOM also found limited or suggestive evidence linking indoor mold exposure and respiratory illness in otherwise healthy children. The CDC recommends that all molds found in the indoor environment be eliminated. It is not necessary to identify the species of mold growing in a residence, and the CDC does not recommend routine sampling for molds. Since all molds have the potential to cause allergic or allergic-like symptoms in people, especially highly susceptible individuals, they should be eliminated whenever they are found. Knowing the name of the mold does not change anything since the same safety precautions should be used whenever remediating mold, regardless of the name. There is no practical way to eliminate all of the mold spores in an indoor environment. But there are many ways to help control moisture and mold growth in your home. The basic rule is: if you can see or smell mold, take steps to eliminate the excess moisture, and complete the mildew removal. It is very important to quickly identify and correct any moisture sources before health problems develop. Fix leaks in pipes and any damp area around tubs and sinks so mold spores don’t have a growing environment. If you rebuild or remodel, do so with water-resistant building materials such as tile, stone, deep-sealed concrete, waterproof wallboard, water-resistant glues, etc. Prevent seepage of water from the outdoors into your house. It’s important to have rainwater from gutters or the roof drain away from the house. The ground around the house needs to slope away to keep the basement and crawl space dry. Ventilate any crawl space as much as possible to allow for thorough drying. Reduce the moisture in the air with dehumidifiers, fans and open windows or air conditioners, especially in hot weather. Do NOT use fans if mold may already exist; a fan will spread the mold spores. Try to keep the humidity in your home below 40%. In moisture-prone areas, consider easy-to-clean, water-resistant floor coverings, such as vinyl or stone tile. Reduce potential for condensation on cold surfaces by insulating. If you discover mold, the first step is to find and eliminate the water source, as above. Then, if it is a small area (less than about 10 sq ft), and you feel comfortable, clean the mold with a detergent solution and thoroughly dry all materials. If it is larger than 10 sq ft, consider call our professional remediation company, PuroClean Certified Restoration. We are the Paramedics of Property Damage™. Our well-trained professional technicians understand and apply industry standard approaches to remediate mold completely, while being as safe for your home and your family as possible. Regardless of the circumstances – dealing with mold, water damage, fire/smoke damage, or biohazard remediation – call PuroClean Certified Restoration – the Paramedics of Property Damage™ for all property damage situations. Our professionals are standing by. We will mitigate the loss to prevent further damage and will then provide restoration services to return the property to a pre-loss condition as quickly as possible. 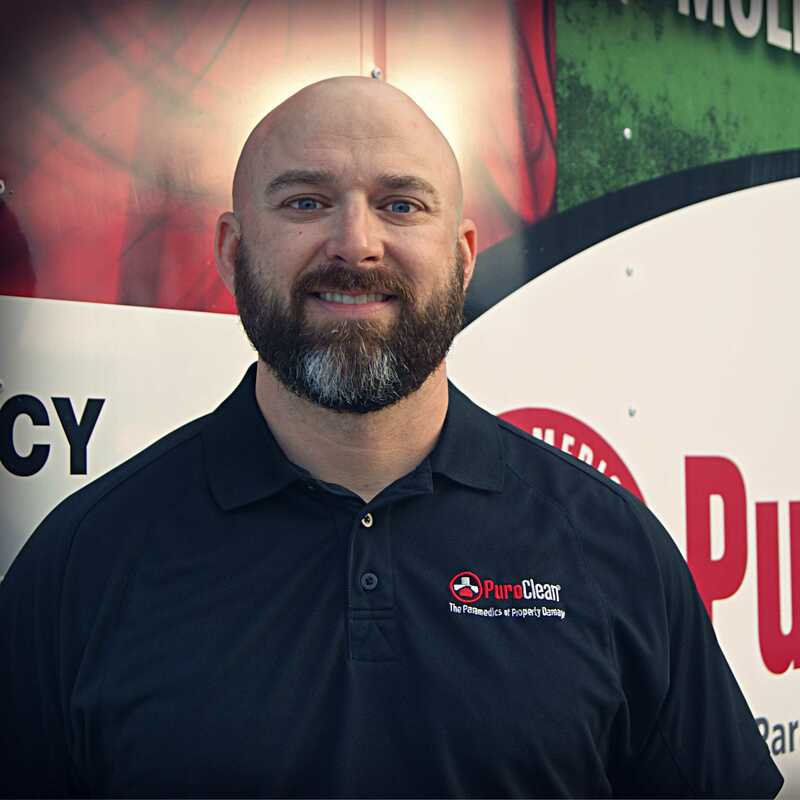 All of our PuroClean Certified Restoration offices have well-trained professional technicians who provide the latest state-of-the-science services to all property damaged from water, fire, smoke, mold, and other disasters. Please call us and we will have one of our specialists answer any and all questions you may have.